Computer sketch of the idea for Angel of the West. 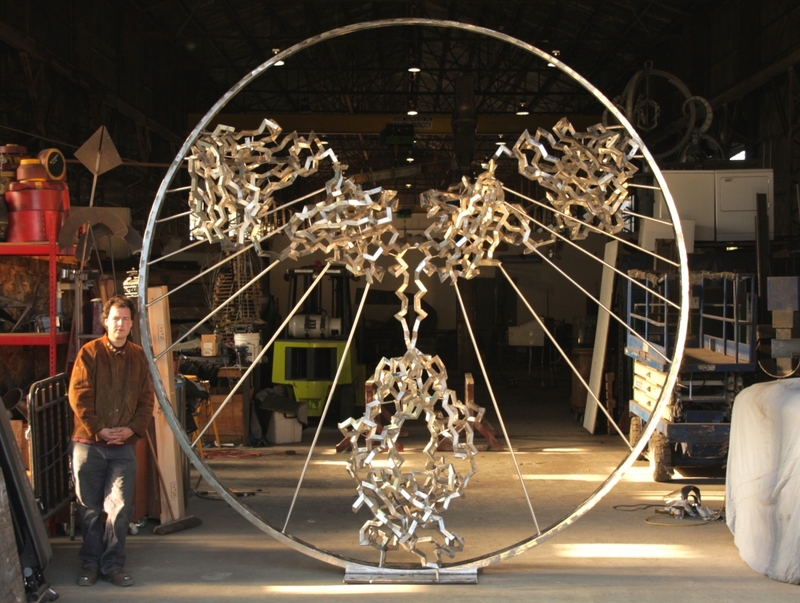 “Angel of the West” is inspired by the structure of the human immune system’s key molecule, the antibody. Like tiny guardian angels, legions of antibodies constantly protect us from illness and disease. 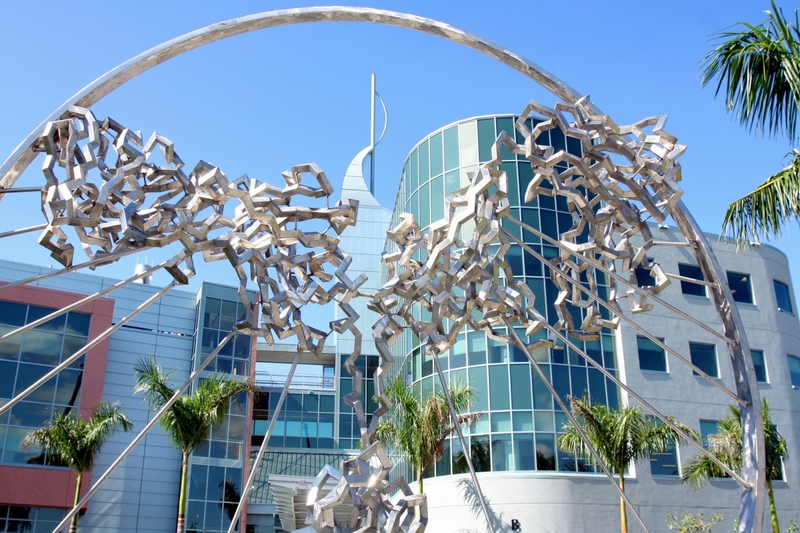 The sculpture plays on the striking similarity of both proportion and function of the antibody molecule to the human body. 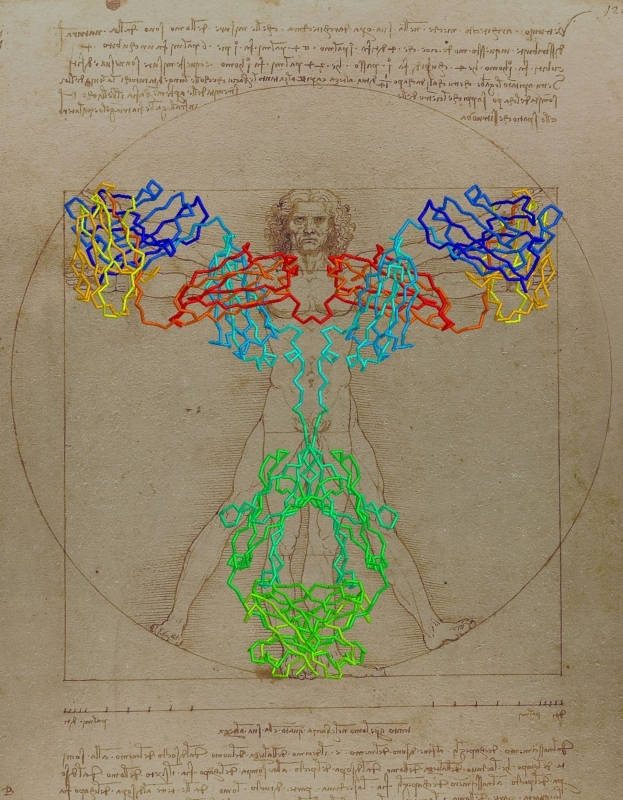 A stylized representation of the antibody molecule is surrounded by a ring evocative of Leonardo’s Renaissance icon “Vitruvian Man” (1490). 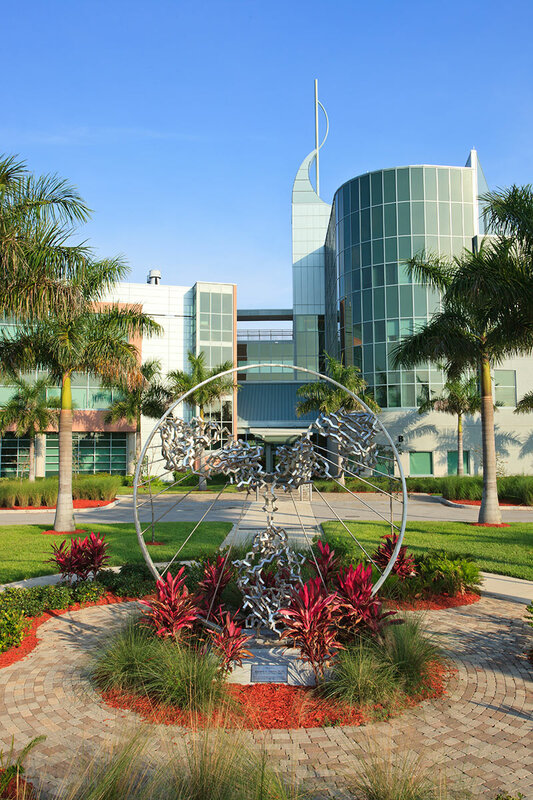 Commissioned as the signature piece for the new Florida campus of the prestigious Scripps Institute, the sculpture symbolizes the application of Western science to the art of healing.